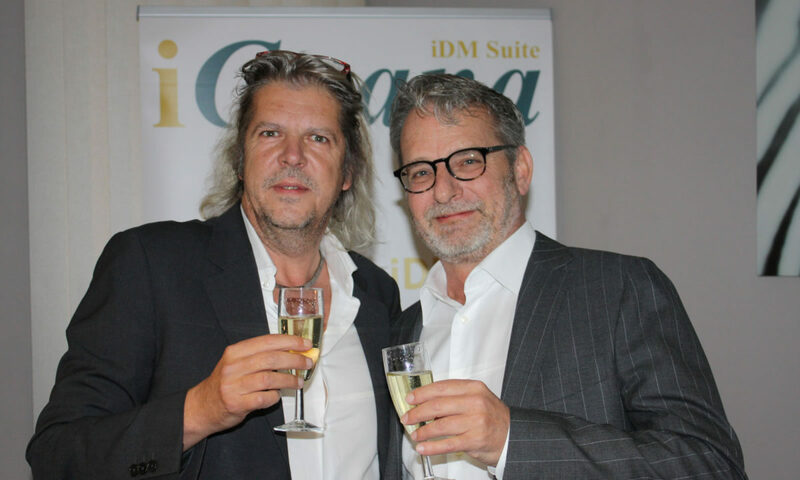 iGuana and acmisGroup, comprising Acmis, Ampaco, Mskan and Kalmo companies, are very pleased to announce their merger following the decision by Herwig Eelen, CEO of acmisGroup, and Stephane Horta, CEO of iGuana, to combine the companies. iGuana is a leading supplier of its own state-of-the-art document management software (DMS), production-scale scanning services and secure records storage in Benelux. acmisGroup is a leading distributor of hardware (scanners) for various industries and a specialist in digitizing cultural heritage collections and other hard-to-digitize originals in Eastern Europe, Russia & CIS, and Southeast Asia. Both, Herwig Eelen and Stephane Horta firmly believe that this merger is a game-changer for the document management industry and reflects the culmination of a strong mutual vision to bring together two powerful digital transformation and innovation leaders. Headquartered in Belgium with regional offices in the Netherlands, Czech Republic, Cyprus, Russia and Singapore, our combined company is able to significantly expand its portfolio, becoming one of the biggest players in the market for digitization solutions & services, and one of the largest distributors of scanners in the region. Our new combined organization operating under the iGuana brand is now in a position to offer the most comprehensive range of document management solutions in the industry and help our customers digitize virtually any kind of document or artwork. We are now more aligned than ever to support and drive value for our valued customers in Europe, Russia and Asia. Our own DMS software called iGuana iDM and developed entirely in-house by our software development division. As a technology leader in our field with our own team of R&D experts, skilled programmers and software solution consultants, we can quickly and easily adapt to rapidly evolving technologies, emerging customer needs and the most complex systems integration requirements. Wide range of document management solutions based on the iGuana iDM software platform. We can offer digital archiving solutions for medical records & patient files, laboratory forms, personnel files & other human resource documents, digital mailroom (incoming mail), purchase-to-pay (automated invoice processing & approval), contract management, and more. Extended range of scanning & digitization services delivered through our ScanFactory & ArtFactory division. We can digitize patient archives, cultural heritage collections, books, fragile loose originals (e.g. framed paintings), newspapers & registers, microfilm & microfiche archives, aperture cards, photos, slides & negatives, film & audio materials, 2D & 3D objects, large format documents (e.g. blueprints), human resource documents, contaminated archives, incoming invoices, accounting documents, legal documents, incoming post, forms & surveys, and more. Unique selection of professional scanners with installation & maintenance services provided by our own technical service division. We can supply and offer technical support for desktop, network, departmental & production document scanners, book scanners, microfilm scanners, microfiche scanners, large format scanners, flatbed scanners, industrial scanners, object scanners, X-ray scanners, and other hardware. Additional solutions & services that complete our expanded one-stop-shop portfolio. This includes secure long-term records storage & retention planning, inventory of customer archives, certified confidential destruction, on-site & remote customer support & helpdesk in multiple languages, expert consulting & related audit services. We believe that this merger is a very positive development for our new organization, for our customers, partners and employees. By merging our experienced teams, combining our resources, leveraging each other’s expertise and solution portfolios that perfectly complement each other, we are ready and excited to help our customers achieve even their most ambitious objectives. Join us in celebrating this thrilling event and in building a bright digital future, together!